Coastal Action works to assess and restore fish habitat in multiple watersheds throughout the south shore. 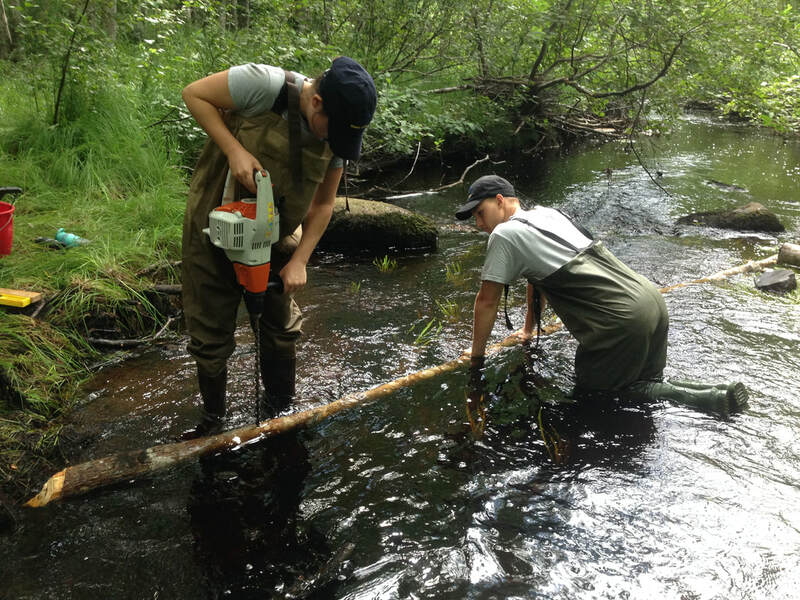 We work closely with the Nova Scotia Salmon Association's NSLC Adopt-a-Stream Program and other partners to carry out a variety of restoration activities that help to enhance the health of our local waterways. Riparian and in-stream habitat functional health assessments. Culvert assessments to identify fish passage barriers. CABIN monitoring to assess aquatic health. Electrofishing to determine species assemblages and invasive species presence. Installation of digger logs, deflectors, rock sills, and bank stabilization structures to improve fish habitat. Installation of baffles, chutes, and weirs to restore fish passage. 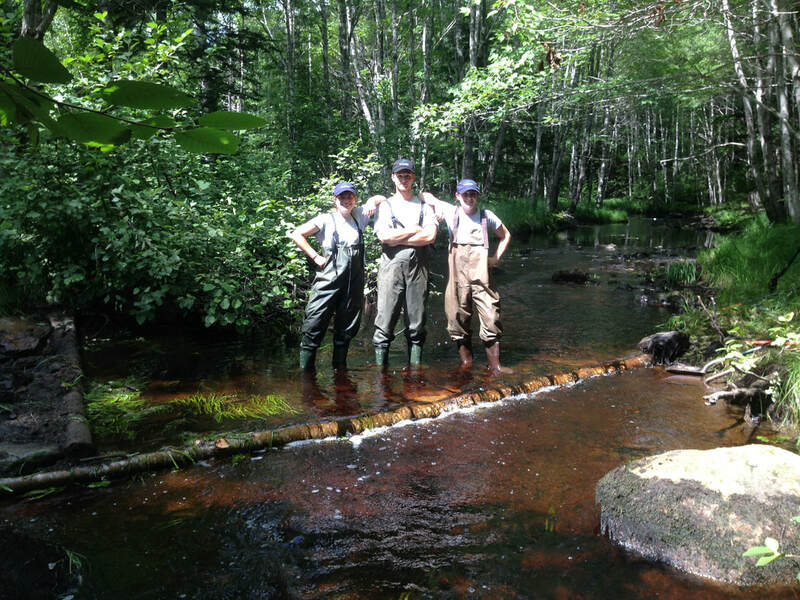 Coastal Action has developed multiple Sub-watershed Fish Habitat Restoration Plans for both the LaHave and Petite River watersheds which are used to identify and prioritize future restoration projects. For more information, contact our Watershed and Agricultural Projects Coordinator, Sam Reeves, at sam@coastalaction.org. Installing a digger log to improve fish habitat in Wildcat Brook. Finishing touches on a digger log/deflector structure in Wildcat Brook. 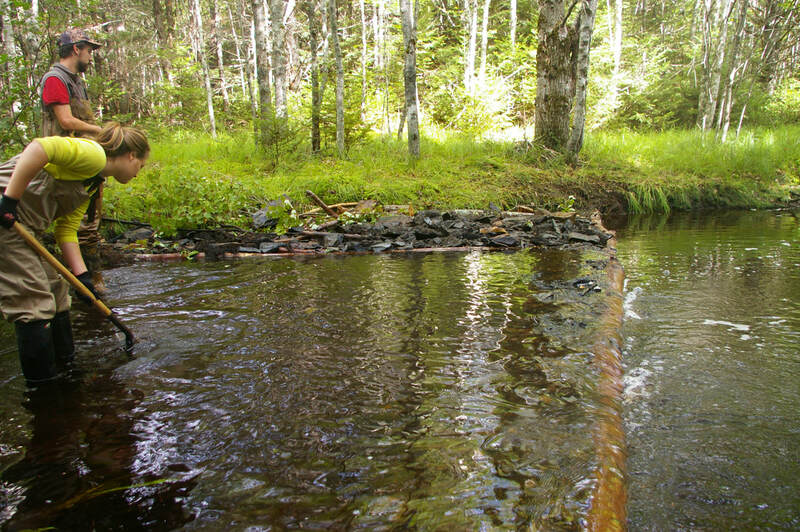 Digger logs and deflectors improve fish habitat and increase dissolved oxygen for aquatic life.